Ruchi is an advanced doctoral candidate in Mathematics Education. 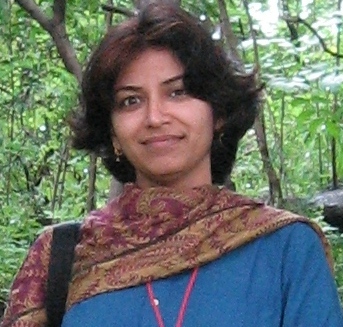 She holds a masters degree in Biology from Delhi University and a bachelor and masters degree in education from CIE. She taught for six years in a primary school in Delhi; during her teaching career, Ruchi felt systemic constraints, isolation present in the job of teaching and problems of teaching that are inherent to content knowledge required to teach. Her sensitivity to educational issues and students’ learning persuaded to join PhD in mathematics Education. For her doctoral dissertation work, Ruchi explored the nature and extent of teacher knowledge and beliefs in, a professional development setting, during collaborative lesson planning meetings with peers and in their classroom practice. Her work examines what conceptual meanings are constructed when teachers encounter interactions that consist of theories from research and experiences of other teachers. Ruchi’s key areas of interest in Mathematics Education are teacher beliefs, knowledge and practices, teacher education and designs for professional development programs.